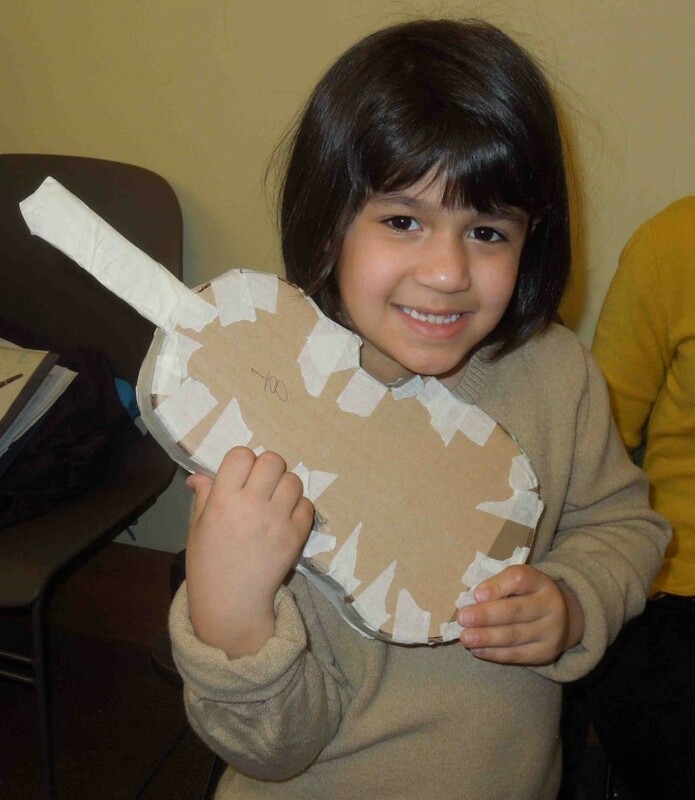 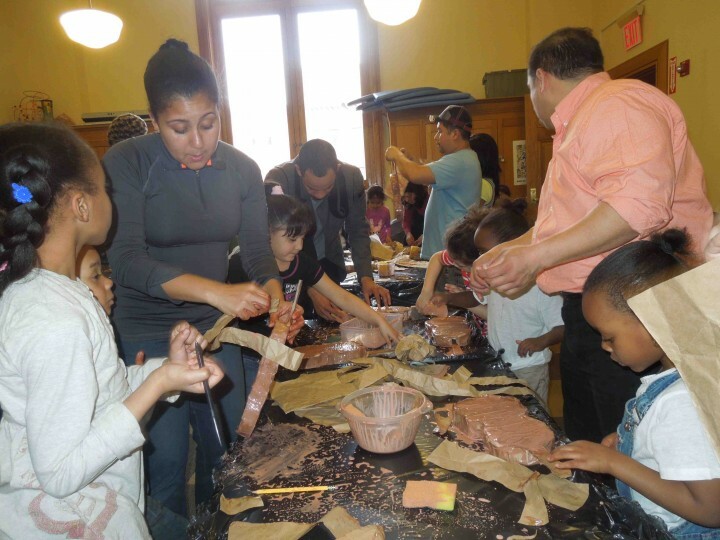 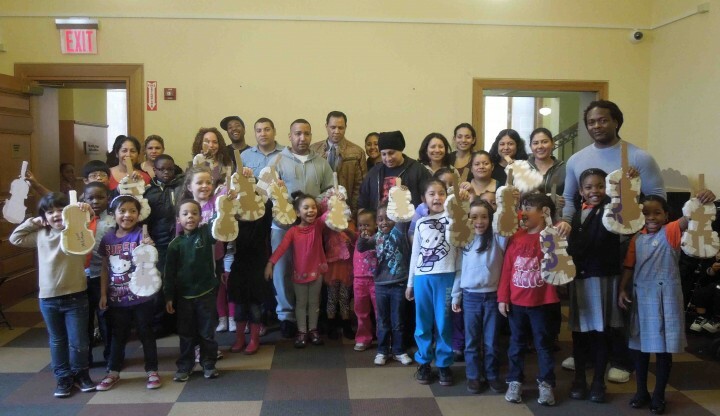 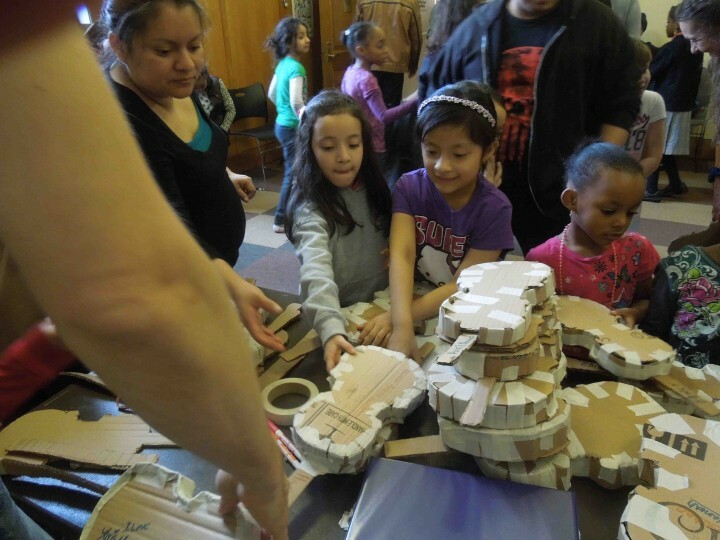 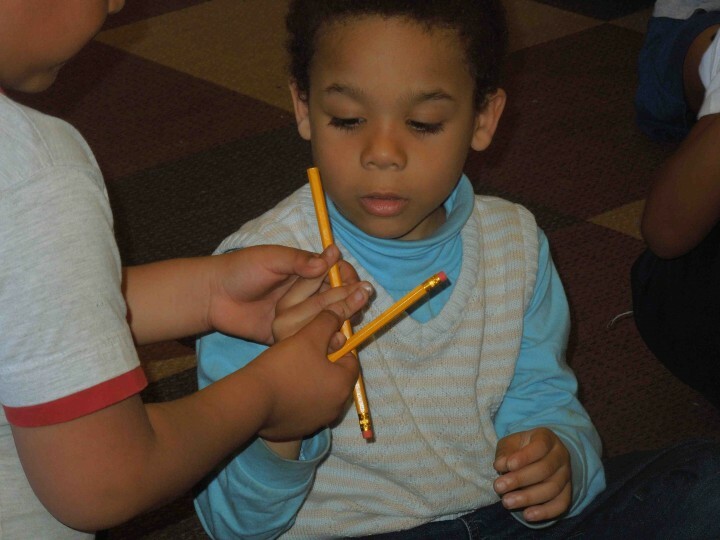 On April 1st UpBeat NYC's youngest musicians and their parents began building paper violins. 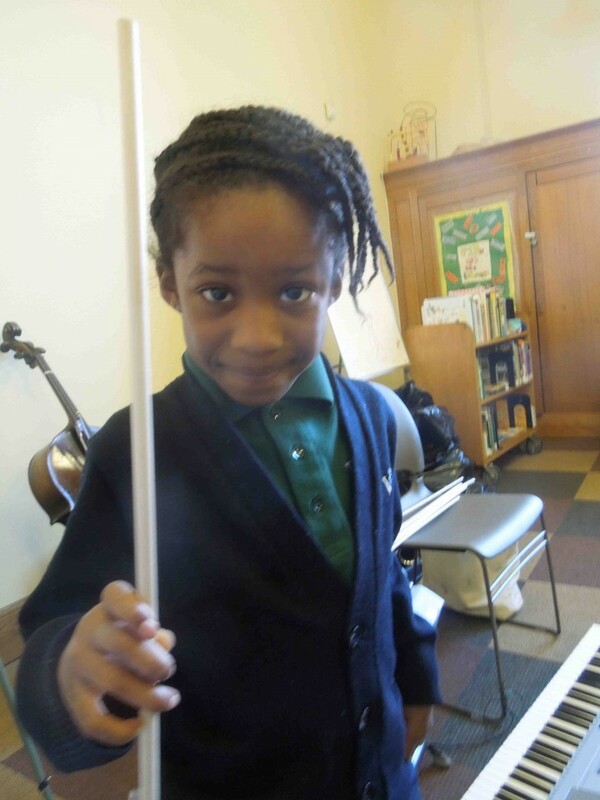 This Pre-Orchestra class began last September and is comprised of 32 five to seven year old children. 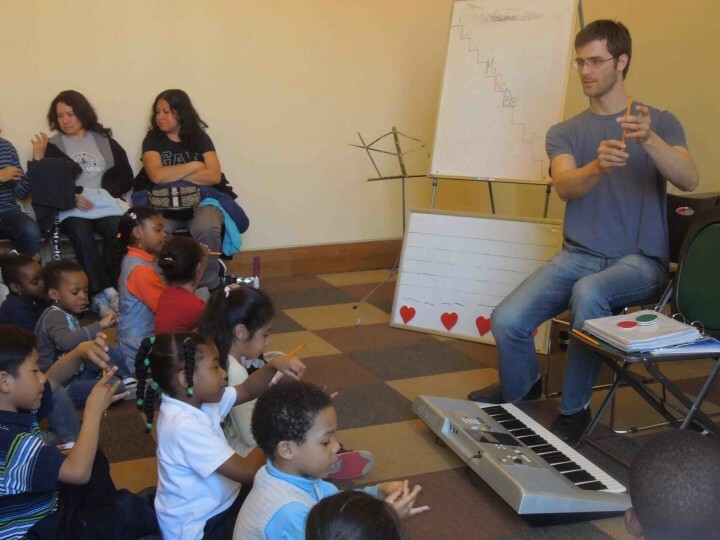 Over the past eight months they have studied the fundamental concepts of rhythm and melody through a curriculum based on Kodály philosophy and methods. 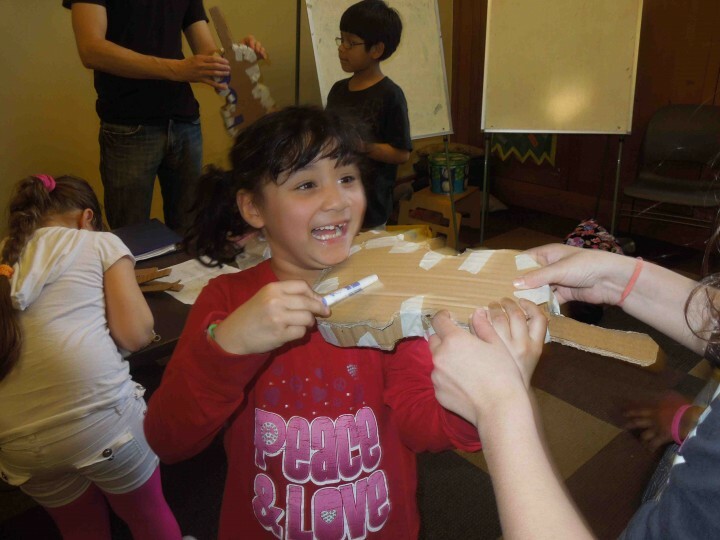 From April to June they will be busy preparing to create their own beginner orchestra through the paper orchestra process. 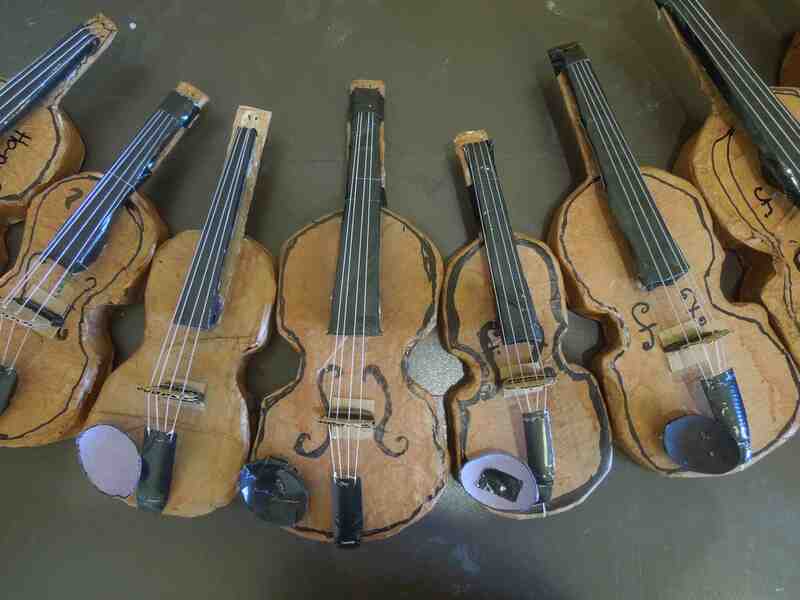 The first paper orchestra in Venezuela was created by Josbel Puche at a time when there were not enough real instruments for all the children. 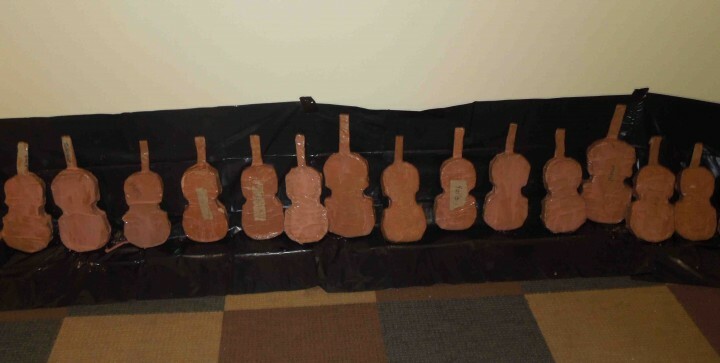 The curriculum continues to be used in Venezuela and throughout the world to build community and prepare children for orchestral playing. 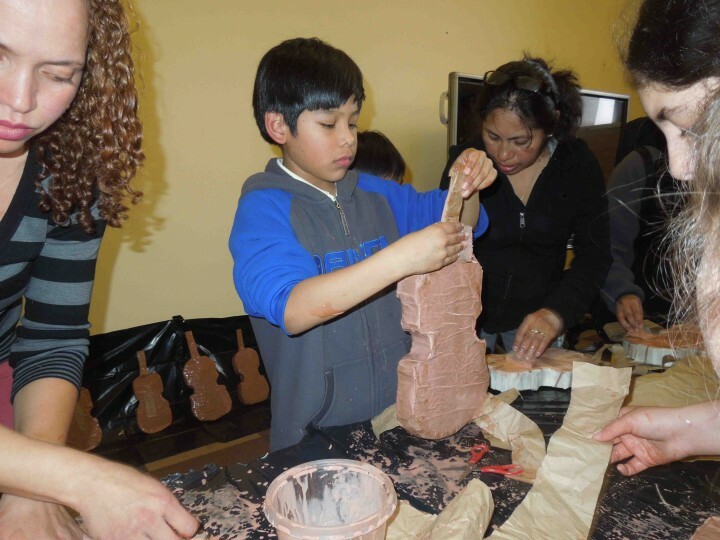 We are grateful to Alvaro Rodas and Lorrie Heagy for sharing their own paper orchestra processes and experiences.